Marked with a magnetic declination scale. For reading topographical and tourist maps and determining azimuthal location of a given place, suitable for overhead projection. 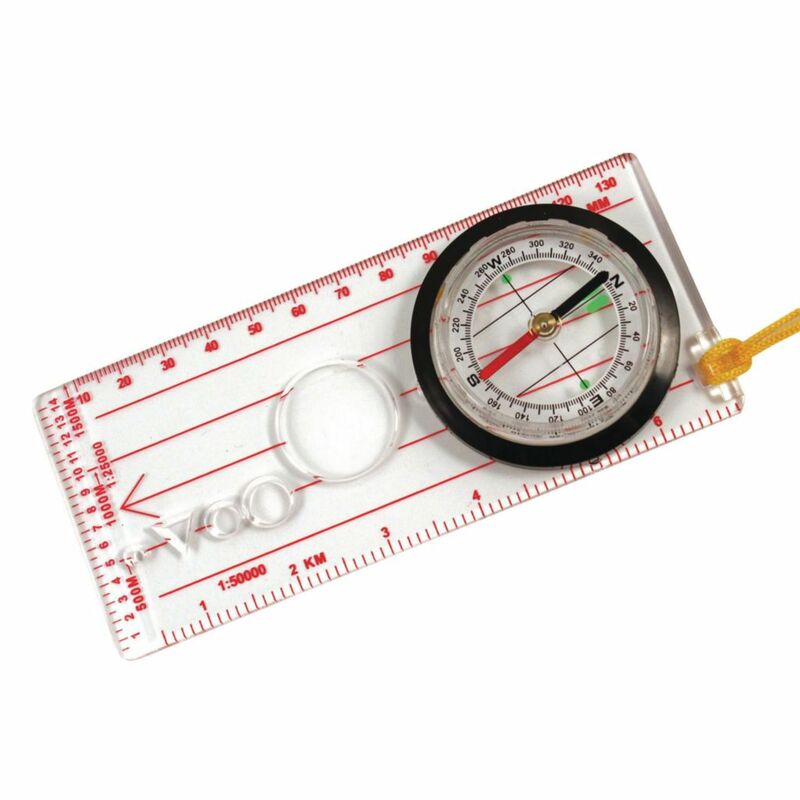 Compact 50 mm (2”) diameter compass graduated from 0 to 360° in 2° increments. Liquid–filled capsule, declination correction scale and luminous points. Meridian lines help in accurate plotting of angles. Magnifier with 4x magnification and four stencil cuts are built into the base. Transparent acrylic base has three scales in cm, 1:25000 and 1:50000. Base size: 60×140 mm (21/2×51/2”). Ordering information: Includes a lanyard.